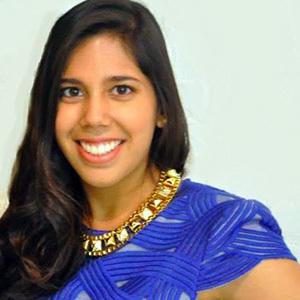 Maya Sachdeva currently works as a Consultant for Metrostudy, where she specializes in launching new communities and providing solutions for existing communities. Her work typically involves forecasting, market valuation, demographic analysis, consumer analysis, absorption modeling, and product segmentation. She previously worked for History Maker Homes in land acquisition and improved project management for oncoming communities as well as developed parameters for responsible acquisition practices. She presented the viability of deals to the executive team. At History Maker, she focused on the growth of affordable product. Maya spent time at K.Hovnanian-DFW in land acquisition prior to joining History Maker. She underwrote and presented deals to the land committee for approval. She was active in field research to determine feasibility. Maya got her start in the industry with Arcadia Land Development in Philadelphia, a new urbanist development firm. At Arcadia, she was second lead on consulting engagements for Fortune 500 companies, private land owners, and banks with distressed assets. She also worked on entitlement and zoning issues. Outside of Metrostudy, Maya is a member of the Urban Land Institute. She writes a blog, genYration, which details millennial homebuyers. Maya graduated from Bryn Mawr College with bachelors’ degrees in Urban Planning and Political Science.